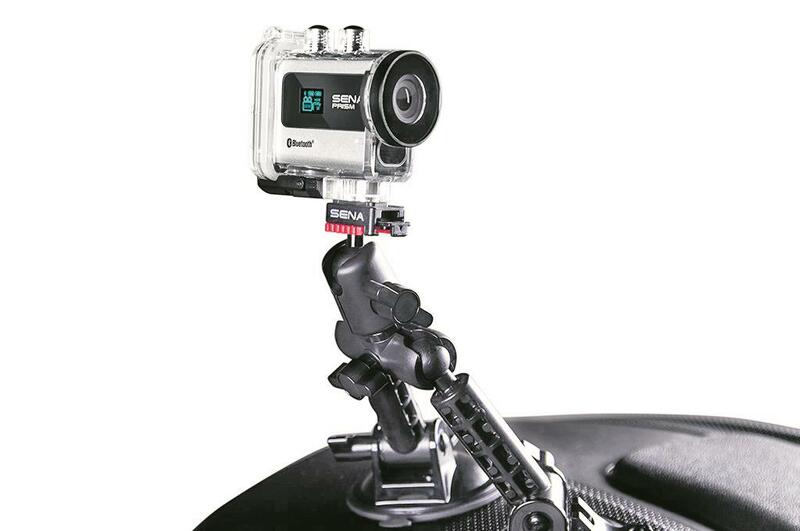 The latest Prism from Sena is the first HD action camera suitable for bikes to feature Bluetooth so you can link to a Bluetooth helmet intercom or the built-in microphone and record live audio commentary as you film. The camera can record 1080p at 30fps, 720p at 30/60fps, or 480p quality video at upto 120fps for some cool slo-mo footage. It can also shoot photos at five megapixels in either single shot mode, time lapse or burst mode. There are also good quality mounts included. The camera comes with a waterproof case which will keep the camera dry down to a depth of 40 metres.